Everything you need in one package to replace your 2010 Mac mini's internal optical drive with 2.0TB of OWC SSD power and reliability. 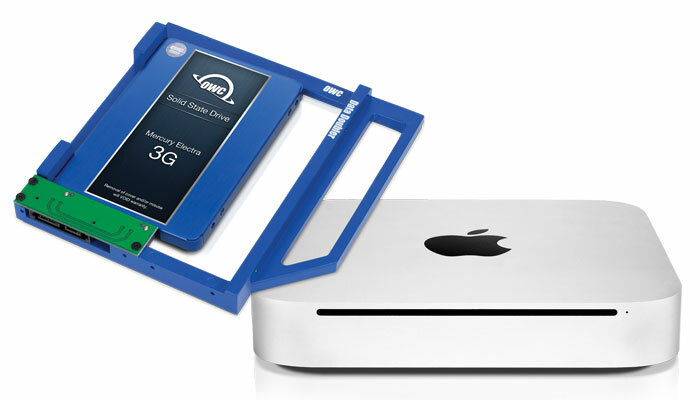 Configuration flexibility is yours when you replace your Mac mini's internal SuperDrive with the OWC Data Doubler. 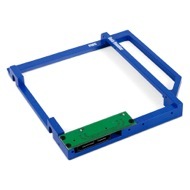 Bundle includes bracket, screws, tools, drive, and detailed installation guide for complete all in one solution. Then, just install the entire assembly into a Mac mini's 5.25" optical drive bay. 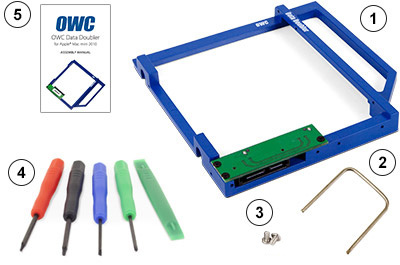 OWC Data Doubler makes it easy to custom design how you want your internal storage to perform. 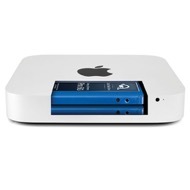 Installed drives are recognized like any other high speed SATA storage device and can be setup and partitioned using the Apple Disk Utility Program. Configuring a new drive as a Time Machine backup drive. You don't have to give up your optical drive completely if you don't want to. 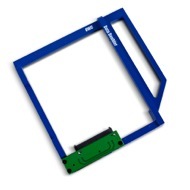 You can reuse the original SuperDrive with the OWC Value Line Slim optical drive enclosure for Apple SuperDrive. 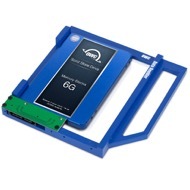 SATA / SATA 6G / SATA 6G Interface 2.5" Drive or SSD (Solid State Drive) of up to 12.5mm height. Includes bracket, screws, and detailed installation guide for complete all-in-one kit.